just write: old or new. | The girl who loved to write about life. so long as I’m with you. to the mountains or the beach. 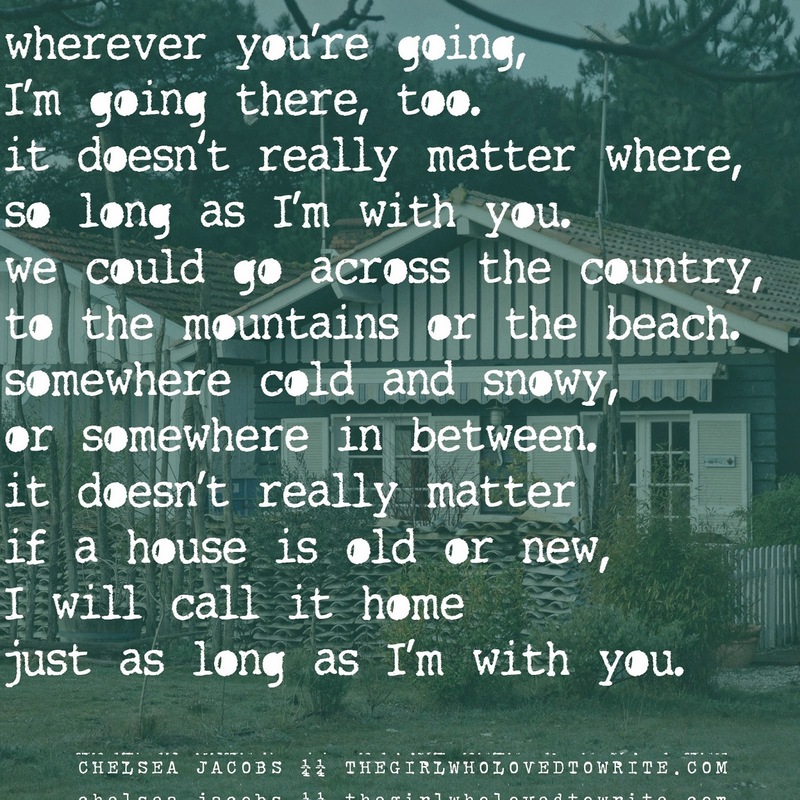 just as long as I’m with you. Beautiful <3 Personally I'm single but I would hope that whomever I meet in the future will go with me wherever I go, and I will do the same for them :) There's no better place than being together! Beautiful! That's how I feel about our tiny apartment. It's not much but it's our home together. beautiful. I am so enjoying these! So adorable, as always! Love reading your writing Chelsea!